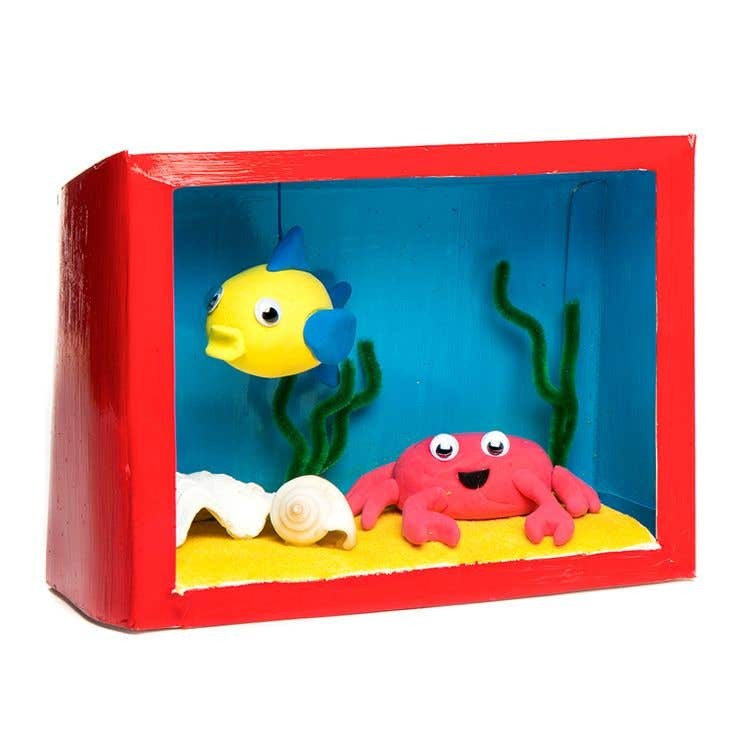 Make your own mini aquarium scene using our diorama boxes. 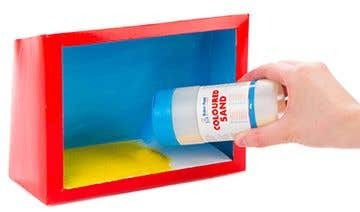 Spread PVA glue to the floor of the diorama box and sprinkle yellow sand on top to create an underwater look. Create underwater sea creatures from Crayola coloured air dry model magic and add wiggle eyes and a mouth to finish. Bend pipe cleaners to create seaweed or coral and then glue in place. 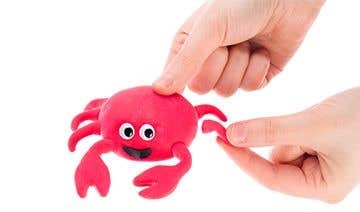 Add shells or pebbles etc and glue in place to finish. 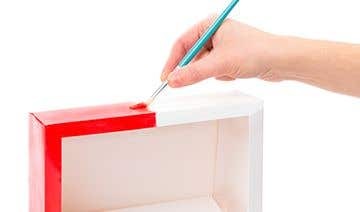 Start from the back and add layers of detail to your diorama boxes to create a sense of depth to your scene.